The abbey of Vaucelles, old Cistercian abbey founded in 1132 by Saint-Bernard, is the 13th daughter-house of Clairvaux. During the era of prosperity in the XIIth and XIIIth centuries, the community included several hundred monks, lay brothers and novices. The XIIth century claustral building is the only remains of this immense abbey, now open to the public. It included five rooms: The Norman scriptorium (36.80m length) in which the subtle outline of the ribbed vaults are revealed. The auditorium, with its isolated columns and capitals retain their elegance. The Chapter room, built in 1170, measures 18.50m by 18.20m. 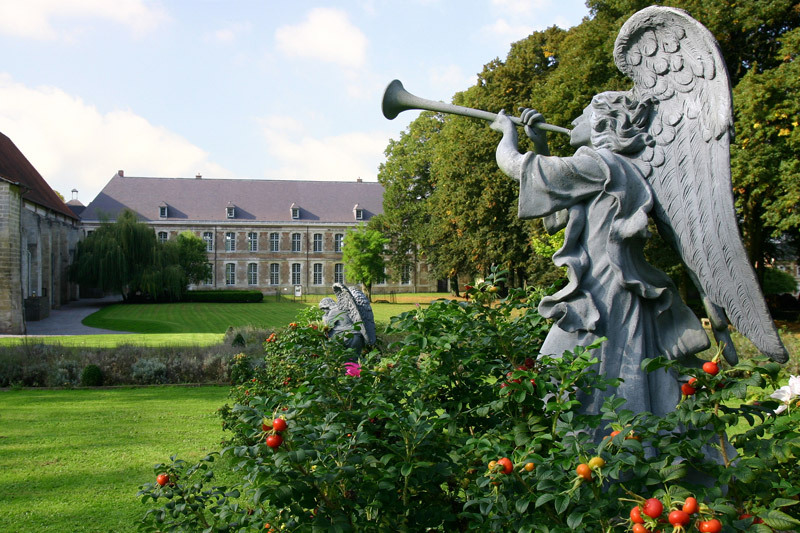 It is the largest Cistercian chapter room in Europe and the acoustics are exceptional. The Sacred Passage where the remains of the first three abbots of Vaucelles, canonized by Pope Alexander III in 1179, are buried. The old ?salle du poids de l'horloge? which has been converted into a chapel for visitors.